Fear mounts after the second death of one of their own suggests that THE ALLIANCE is not alone on the island. Was this the Oxymoron’s brilliant plan all along, or is something even more sinister afoot? Another hero falls, and shocking revelation in this pivotal third issue. 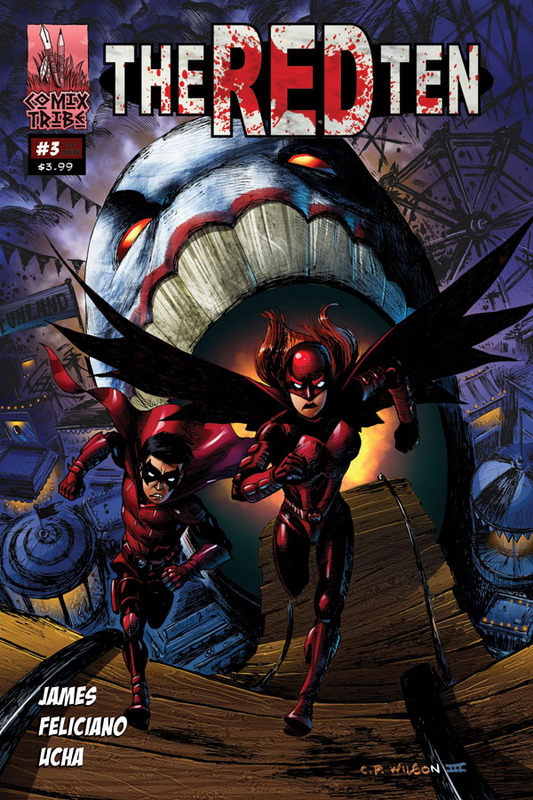 PRE-ORDER THE RED TEN #3 ONLINE NOW! ORDER THE RED TEN #3 FROM YOUR LOCAL RETAILER! Get THE RED TEN #3 from your local comic shop! Find a comic shop near you!